Back by popular demand – Snoop Dogg headlines the Affiliate Ball for the Affiliate Summit in Las Vegas January 16th! PASS to the Affiliate Ball. You can show it on your phone as you enter, print it out or come by our booth to grab a fresh one at the meet market table D18. Don’t rely on saying you’re on the list. Show your pass this time around. We’re very excited about this party! We have the best and biggest venue in Vegas. Snoop is ready to entertain us all. Here’s what you need to know. 9:00 – 10:00 – VIP preparty – You must have a VIP pass issued by a sponsor to enter at this time. These passes are red. Hit up the sponsors when you get in town. 10:00 doors open for all guests. We recommend getting there early, have your pass ready to show them at the door. DJ Diamond is spinning. 11:20 ish – Snoop Dogg will take over the rest of the night! We had 3,000 industry guests show up at our recent party with Snoop in New York so we’ve upgraded to the largest venue in Vegas to accommodate everyone comfortably and leave room for networking, dancing, and MORE large tables & booths. But even with more tables, they fill up fast! Reserve your table or sponsorship with us now at up to 50% off this weekend! We’re offering an incredible Black Friday deal this year. Just reply back to me if you’d like more info starting now through the weekend to get in on it. Save 50% off of some deals! All tables have an amazing view of the stage and seat at least 8 to 10 people. It’s a great way to impress clients, make deals, and make sure you have an epic night to remember. Plus, get in now on a limited number of opportunities to promote your company in the newsletter, get your logo on the big screens at the venue, have the dancers wear your logo, and more – so everyone knows you mean business. Check out our new promo video for Vegas! We’ll have one of the greatest reggae bands you’ll ever see complete with 12 people performing! Dress in costume and you might even win a prize. We’ll have a free bar for those who come early, free jerk chicken wings, Alex from WayPointSoftware will show us how ancient indians used a technique for capturing alligators with their bare hands and enjoy the beautiful sunset as we party outside along this oceanfront venue. We’ve selected Sunday the 30th so everyone can still be home the next day to celebrate Halloween with their families. This is the perfect weekend getaway while networking with our industry’s finest. Oh yeah, there also happens to be a ton of people in our biz the live out there too. The Affiliate Ball worked out a corporate rate with the W Hotel which is located only blocks away along the ocean. You can go to their site wfortlauderdalehotel.com to book a room. LIVE REGGAE BAND, JERK CHICKEN WINGS, BEST COSTUME CONTEST, OUTDOOR OCEANFRONT VENUE & MORE! COME PARTY OUTSIDE ON A ROOFTOP BEACHFRONT PUB AS WE VIBE TO REGGAE MUSIC ALONG THE OCEAN. WE’LL HAVE A CONTEST FOR BEST COSTUME PLUS FREE JERK CHICKEN WINGS AND AN EARLY FREE BAR. YOU MIGHT EVEN HAVE A CHANCE TO SEE A 10 FOOT ALLIGATOR! DETAILS TO COME. YOU DON’T WANT TO MISS THIS ONE! 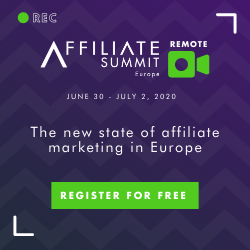 We’re expecting this Affiliate Ball Meetup to be one of our biggest yet! We’re expecting between 200 and 300 guests.